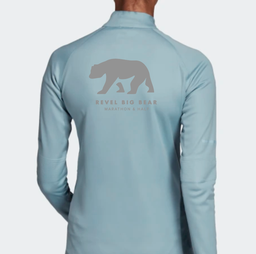 REVEL logo on chest. 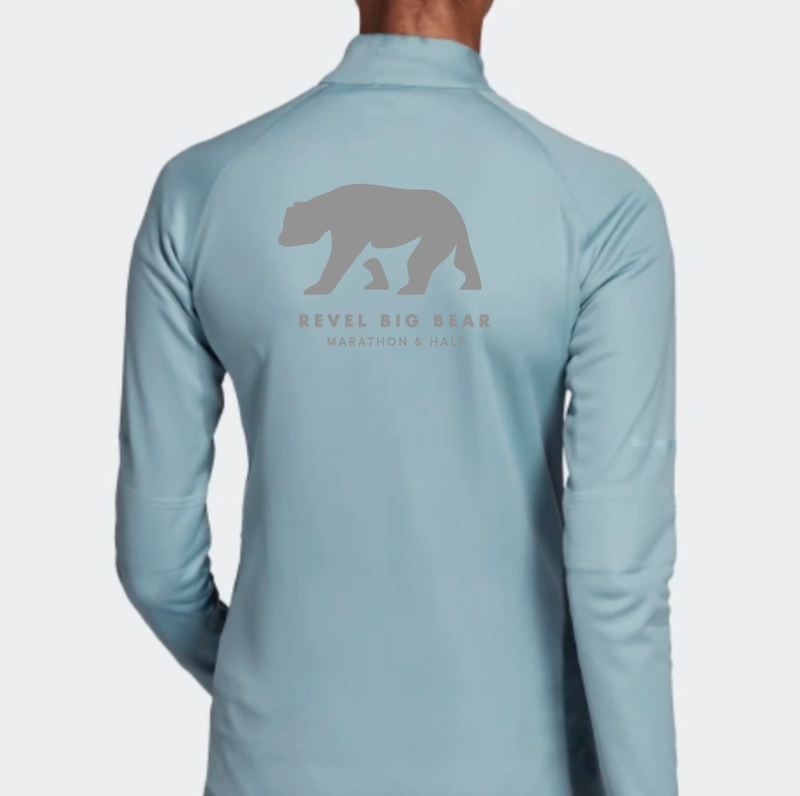 "REVEL Big Bear marathon & half" plus the bear logo on the back. 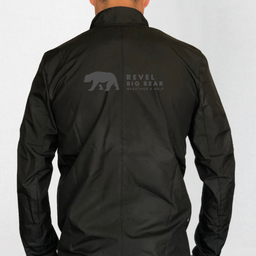 This running jacket is designed to keep you dry and comfortable. A water-repellent finish helps protect against light rain, and a sweat-guard pocket provides storage for small essentials. 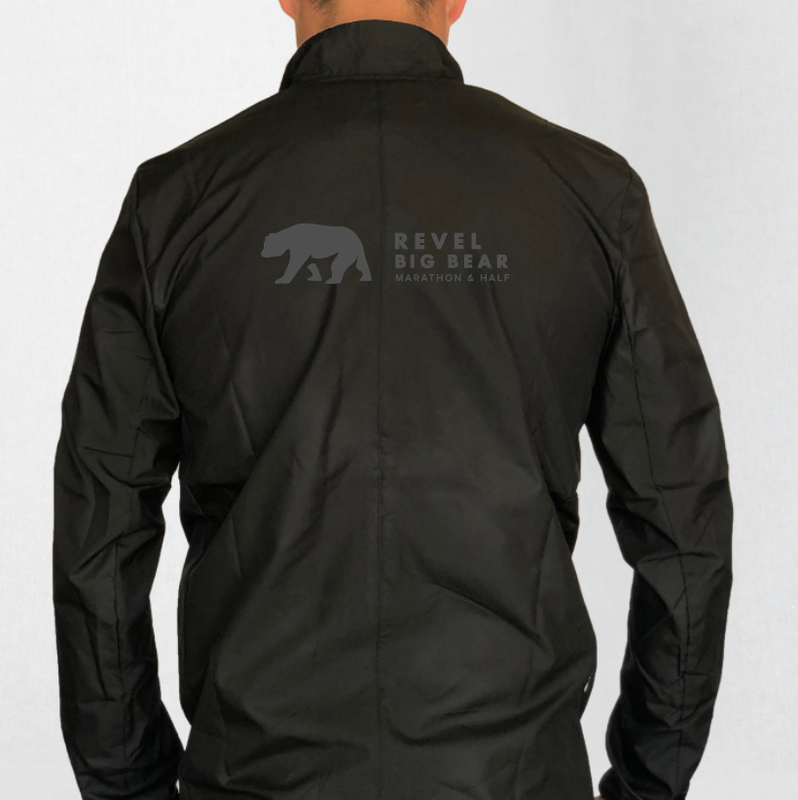 Reflective details finish the jacket.